With our world immersed in technology, many find a career in computer programming a viable option. Everyday, thousands of new games and programs are released which all have to be designed by a programmer and designer. But how exactly do you start a career in this potentially lucrative profession? And where do you get the training? 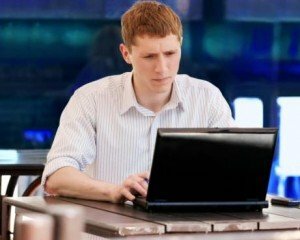 The traditional route to prepare oneself to be a computer programmer in the past has been to go through a four-year degree in Computer Science. And this is still a good possibility. Doing so will prepare you by exposing you to programming techniques and computer language, applied math as it relates to programming, and other important aspects. Now that technology is such a focus, programs like this tend to include a lot more “rigor” than they did perhaps 20 years ago. Someone wanting to go into this field should be pretty good in math and science, since math is the basis of programming language. However, it is possible for one not to be a math whiz and still become a programmer. Some with an artistic and innovative ability on the more creative side have been able to get into programming “through the back door,” so to speak, by simply mastering software programs which do much of the programming for you. However, if programming is truly your goal, or you wish to make a serious living out of app creation (the latest and greatest programming craze), then it would be a good move to get a degree in Computer Science or a similar field of study. The typical education for computer programming includes a four-year degree in either Computer Science, Computer Information Systems, or IT (Information Technology), and is a diverse program involving several aspects of software development and basic programming that is relevant to today’s changing technology. Alternately, someone wishing to pursue this path could also get a 2-year certification in computer systems or a similar emphasis area. Or attend an online school or real vocational school which specializes in this field. Both Bill Gates and Steve Jobs, who wrote the book on success in the IT and software development fields, and whose money would line the distance to the moon and back twice only took 2 years of coursework in computer technology from Harvard, then ran with it to create their own ideas. If you are an innovator or entrepreneur, and highly confident in your business plan, you, too, could take just enough coursework to light the flame of knowledge, then take what you learn and create your own IT empire. No one path is right for everyone, and you should decide which one fits your goals and talents the best. 1) Get a 4-year degree or a 2-year certificate in computer technology or similar field. Having the credentials sets you apart from those who want to be a computer programmer, and those who actually have the skills to do it. While there are some who are self-taught (as the writer of this blog entry is), it is always wise to obtain the mastery of skills which are based on “industry standards,” so that potential employers know you know what the industry expects, not just what you wanted to learn. 2) Focus on a specialty. Once you obtain your education, to set yourself apart from others, focus on what you are best at. If you are a game designer, and that is your passion, focus in on that. Be not just good, but great at it. Create a new app no one has thought of. Study the “app market” on Google Play and Apple Store and see what’s hot…and what’s not. This information and insight will go a long way toward securing your place in a highly hot and competitive field. As a result, you will be in high demand. 3) Learn how to market. If you want to get your ideas out there in the world of computer programming, learn how to market through multi-channels. Put your app you developed or software package in several markets, rather than focusing on just one. Run analytics and see what works best, then put most of your efforts into that. If you just wish to work for a company, market your portfolio to multiple IT companies in a similar fashion. 4) Research your field and continue your education. Always be up on the latest technology, even if you do not own every new gadget that comes out. Platform is important nowadays when technology is changing so rapidly. The mobile market and other changes has virtually stood the old technologies on their head. If you keep up with the latest research and development, you are more likely to land higher level jobs and know what types of software and what platforms are best to put your time into. Below is a link to some information on the various programming languages computer programmers are expected to know. Keep in mind though, this changes regularly, as new languages are developed for the mobile market, and other new venues and platforms. In essence, a computer programmer speaks the language computers understand and this can be composed of a number of different languages from basic HTML and C+ Basic, to Java scripting and the new HTML5 for mobile apps. Training should begin with a sound formal education, coupled with real-world experience and hands-on training in the IT field. With the field changing so rapidly, a good combination of formal vs. informal practice and education should pave the way for a good opportunity to work and play in this fascinating career field.